NET SatisFAXtion Fax PDF Conversion: Turn faxes into PDF files quickly and easily. 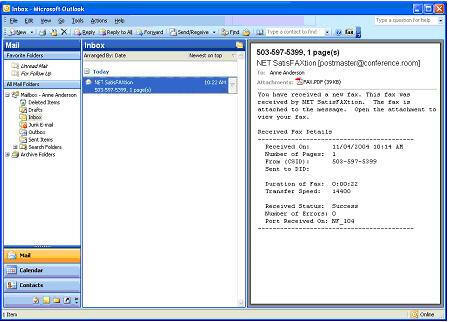 The NET SatisFAXtion Fax PDF Converter is an add-on module that lets organizations take advantage of the universally popular Acrobat Portable Document Format (PDF) file. Faxes can be automatically converted to a PDF file format, and then easily forwarded or archived. Unlike other document conversion solutions, the NET SatisFAXtion PDF Conversion add-on option does not require manual file conversion, documents are automatically adapted for the fax server and available for immediate fax transmission.